Illinois, 1881: Whitsitt College sophomore Beth Carrington has two goals to fulfill by the time she graduates: obtain a medical degree, and establish a women’s fraternity, Beta Xi Beta, that will help young women like herself to connect with and support one another while attending the male-dominated Whitsitt. Neither is an easy task. The sole female student in the physicians’ program, Beth is constantly called out by her professors and peers for having the audacity not to concentrate on a more “fitting” subject like secretarial studies. Meanwhile, secret organizations are off-limits, and simply by crowding together in a dank basement room and creating a sense of camaraderie, she and her small group of fraternity sisters risk expulsion. In order to have the fraternity recognized, she knows she needs help. She turns to the most powerful student on campus: senior Grant Richardson, Iota Gamma fraternity president and the scion of a Whitsitt family—a man she’s only acquainted with because of her longstanding friendship with his fraternity brother Will Buchannan. Staunchly traditional, Grant doesn’t see the purpose of this women’s organization, but captivated by Beth, he agrees to give her a helping hand. What she doesn’t know is how many will stop at nothing to keep her burgeoning organization out of the record books—and who she can actually trust along the way. 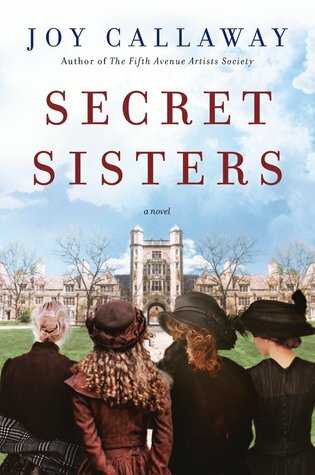 As Beth fights for her beloved Beta Xi Beta to be recognized, she will uncover deep secrets about the college and those who surround her, and will have to put both love and friendship on the line so that history can be made. Occasionally a book will come along that is not in the Christian genre but will sound too good to pass up. That happened with this book. Being a sorority girl myself (Sigma Sigma Sigma) I was intrigued by a book based on the first women's fraternity. I fell in love with these characters immediately and found myself completely engrossed in the work they were doing at Whitsitt college. I felt for them each time a staff or faculty member put them down for being a woman. I cheered them on when they stood up for themselves in ways women today could not imagine necessary. And I suddenly found myself reciting the knock, pledge, and intricacies of Beta Xi Beta. Oh, the sorority life just draws me in. The women who founded the first fraternity were truly pioneers of their day. They saw what men had and they fought and sacrificed to create a sisterhood for themselves. They worked hard, had to be creative, and were the utmost in risky in order to achieve their dreams. All greek women today should be proud of those first sisters and the way they made for each of us today. This story is both entertaining and beautifully written. It touches on Greek life, college life for women, and throws enough romance in to make your heart melt. I loved every minute I spent in these pages and am so glad I gave a chance to a book not typically in my reading pile. Soon after Jessica Kastner became a mother, she wondered if she was the only mom who found pretend play more boring than watching playdough harden and who dreaded yet another friend s Instagram post of homemade deliciousness. 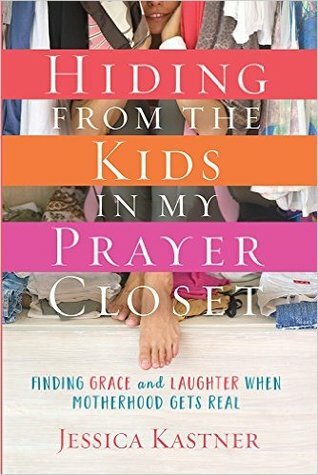 In Hiding from My Kids in the Prayer Closet, Kastner shares her experience as an unmom a mom who loves her kids more than she loves the daily experience of mothering. She helps readers laugh at the ridiculous, delight in the unpredictable, and enjoy being the mothers God made them to be. Wow! I'm not the helicopter, lovey-dovey, play-in-the-floor mom that many of my peers are, but at least I can find something great to say about being a mom each and every day. I honestly thought this book was going to be a self-help type book full of advice on how to cope as an unmom, and tips for praying for our kids. 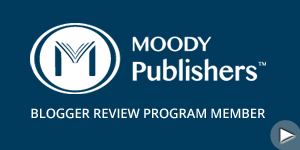 Instead, it is a collection of essays complaining about motherhood. Being a mom is tough, I get it. But this is just over kill about all the horrible things about being a parent. I hope these poor kids never read this book when they are older because they are going to be so disappointed in finding out how their mom thought of them. 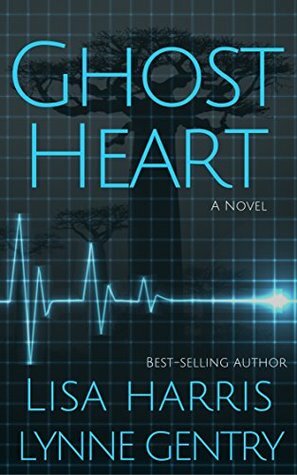 A brutal murder convinces surgeon Mia Kendall there’s more than she imagined to the mysterious spike in heart transplant rejections. Determined to find answers before she loses another patient, Mia gets sucked into a dangerous international medical web. With time running out for her youngest transplant recipient, Mia is forced to partner with a disillusioned ex-military pilot who flies brokered organs across East Africa. But searching for the truth will prove costly for the unlikely duo racing to stop a madman before he annihilates a rare and cursed bloodline. This book. I admit this book started a little slow for me and I was concerned it was not going to hold my attention. But I am so glad I kept with it because it turned out to be one of the best books I have read in a long time. The first many chapters of this book are used to introduce us to characters and their settings. Much of this book is set in Africa, but several chapters are set in America as the Taylor family struggles to keep their daughter alive. Once Charlotte and Kelsey arrive in Africa for Kelsey's heart transplant, we get to see this book come to life. Scandle is taking place at every turn, and more than a handful of characters find themselves fighting for the right to live. Secrets are revealed, relationships are tested, and several surprises come to light as Mia fights to discover the truth behind the Africa transplant patients. I found myself completely intrigued by the story line and saddened to remember that human sacrifice for profit has been a reality in some parts of our world. Harris and Gentry to an amazing job with this story and it is worth a spot on your reading list. I loved the first book in this series, and this second book was just as good - maybe even better. 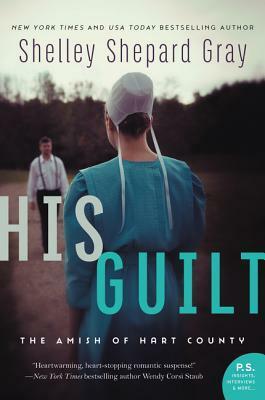 This series is doing a great job at bringing the traditional Amish culture, suspense, and romance and wrapping them up in the perfect little bow. I loved meeting these characters. Although this book is not the traditional follow-up to the first one, it does briefly mention the assault and characters from the first book. However, this book focuses on Mark, the man who was originally blamed for the previous assault. Mark has returned home and is dealing with the aftermath of everyone thinking he is guilty. He befriends Neeta and I loved watching their relationship grow. It is such an unlikely relationship with opposition coming from every direction. But the way they continue to hold tight to what they believe about each other is heartwarming, to say the least. This book is about forgiveness and redemption, and about listening to what God is telling you when it is hard to do the right thing. These characters are some I hope we see again in the remainder of this series and I look forward to the coming books. 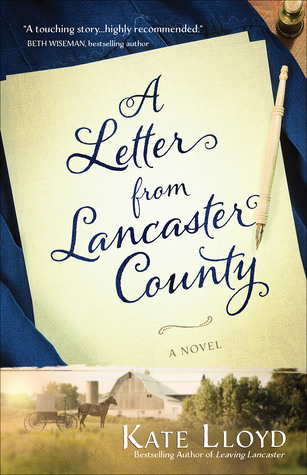 When a letter arrives from Lancaster County, Pennsylvania, Angela and Rose decide to visit Aunt Silvia, their mother's Mennonite sister, in the heart of Amish country. This vacation could provide the opportunity both sisters need to sort out their issues. And yet instead of finding a new way of connecting with each other, Angela and Rose discover surprising family secrets that add to their strife and threaten Rose's romance with a new beau. Through it all, the two sisters must find the faith necessary to face their personal problems and allow God to restore hope and healing to their hearts and relationship as only He can. I'm sorry to admit I did not like this book - at all. The entire book is written in first-person and keeps changing from Angela to Rose and back. I spent most of the book having to go back and see who was talking to figure out who's story I was reading. These sisters do not like each other and they were constantly complaining, arguing, talking about each other, and simply being miserable. After a few chapters, it was more than on my nerves. I skimmed through the second half of this book because I just wanted to get to the end. I found myself completely uninterested in the entire story and did not care how it ended. Gwen Marcey has done a good job of keeping the pain of her past boxed up. But as she investigates the case of a missing child in Lapwai, Idaho, details keep surfacing that are eerily similar to her childhood traumas. She doesn’t believe in coincidences. So what’s going on here? No one knows more about the impact of the past than the Nez Perce people of Lapwai. Gwen finds herself an unwelcome visitor to some, making her investigation even more difficult. The questions keep piling up, but answers are slow in coming—and the clock is ticking for a missing little girl. Meanwhile, her ex-husband back home is threatening to take sole custody of their daughter. As Gwen’s past and present collide, she’s in a desperate race for the truth. Because only truth will ensure she still has a future. Everything we thought we knew about Gwen Marcey and her past has just been shattered. When she requests an assignment that seems so familiar to her, she steps right into a trap to bring her "home" and to a man who was hurt by her so many years ago. 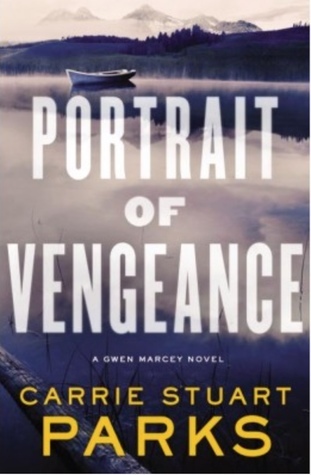 In this installment in the Gwen Marcey series, we really get to see deep into Gwen's soul. Her relationship with her ex-husband is toxic, her daughter is mostly out of the picture, she has given Blake the cold-shoulder, and she needs the support of her best friend more than ever. She is in a situation that only God can get her out of and we get to see her piece together the past and the present to find out who she really is. While this was not my favorite book in this series, it is still a great read with twists and turns in every chapter. Every time I would think Gwen was close to discovering the truth something horrible would happen that would change my way of thinking. When the real Jacob was revealed I was shocked and terrified for Gwen's life. This book can be read as a stand-alone but would be better enjoyed as part of the series it is intended to be read in. 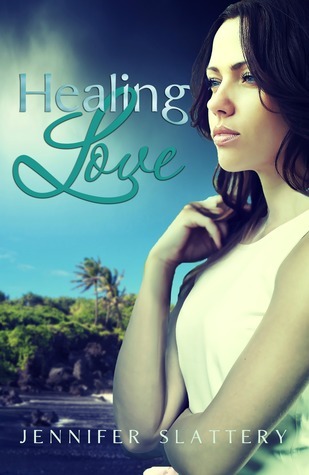 I have read so many great reviews of Slattery’s books and was thrilled when she contacted me about Healing Love. I admit this book started a little slow for me. Character and setting development seemed to take several chapters. We meet Brook and her family and friends, get to meet many of those she works with, and learn much about her dreams and insecurities. We also travel to El Salvador to meet the people there and many locations of poverty and despair. Then Brooke heads on a mission trip to El Salvador, and this story really picks up and becomes one of those you cannot put down. As Brooke is exposed to the orphan children, we see her heart completely break for every single one. She changes her attitude about the trip and immerses herself in the people she meets. As the story continues on we also see the relationship between Brooke and Ubaldo intensify into the kind of romance that makes you weak in the knees. Moreover, when Brooke boards the plane and heads home, I felt so sad for everyone involved. However, our God always knows what he is doing and can orchestrate anything he wants. I will not spoil this for you but the decisions that happen in the lives of Brooke, Ubaldo and their families will show just what love and a heart for God's people can do. I enjoyed this book so much. 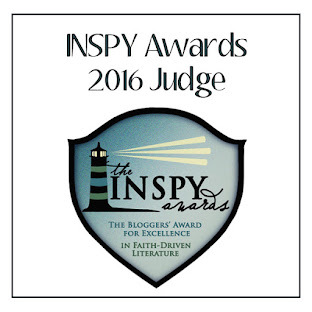 The story, the people, and the mission spoke to God's love and goodness. While this was my first read from.Slattery, it certainly will not be my last.